Get married on one of the most popular (and beautiful) islands of the Aloha State at these Oahu wedding venues. With a nickname like “The Gathering Place,” it’s only fitting that the island of Oahu is one of the most popular places to get married in Hawaii. There’s a lot to love about Oahu wedding venues, from the trendy high-rise resorts in Honolulu, to secluded mountain ranches on the North Shore. If you’ve just started browsing Hawaiian wedding venues, these gorgeous locations might just convince you to host an Oahu wedding! 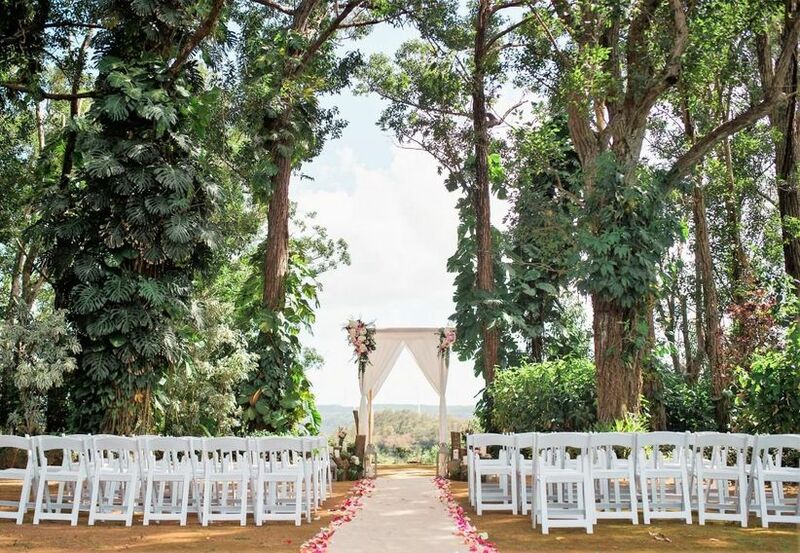 Read more about our favorite Oahu wedding venues. As one of the most secluded Oahu wedding venues, Haiku Gardens is our pick for couples who want total privacy and solitude on the big day. 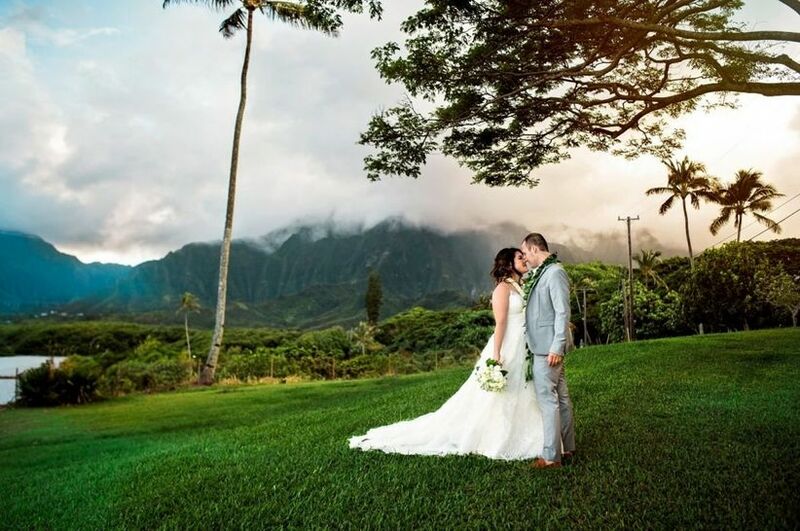 But being away from Oahu’s bustling cities has its perks — Haiku Gardens is located at the base of the Ko'olau Mountains, which gives the venue a lush rainforest setting and amazing views. 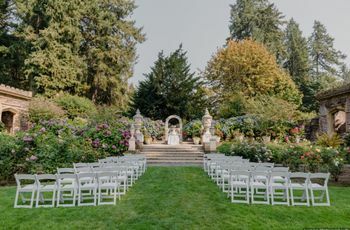 For the ceremony, you’ll have a choice of three event spaces, ranging from a tropical garden to an open-air chapel or gazebo. The venue offers customizable wedding packages, from all-inclusive options with a full-service planner, to à la carte enhancements. Want to feel like a total VIP on your wedding day? 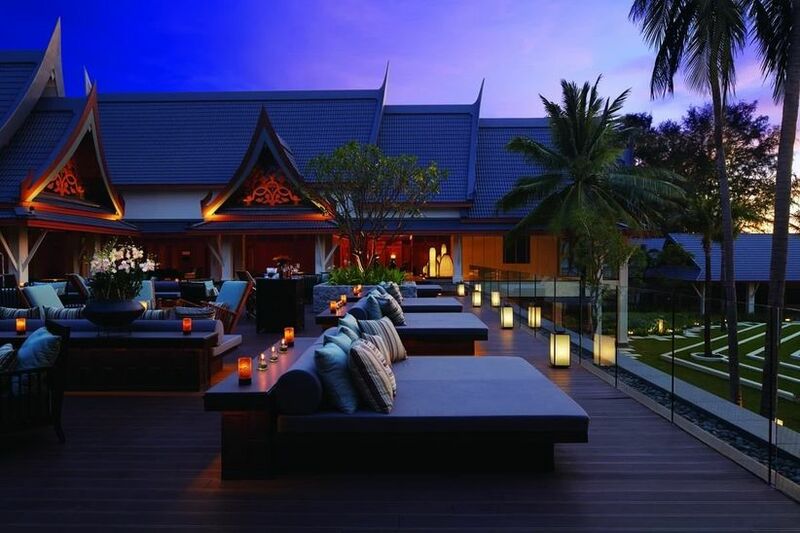 Renting a swanky villa is one way to achieve it! Hale Koa is a private beachfront estate on Oahu’s windward side, and it’s the perfect space for hosting your wedding and a family getaway in one spot. The fully furnished house, which has a Bali-inspired design, has four bedrooms and can sleep 10 guests. There’s also a swimming pool, jacuzzi, home theater, spacious yard, and jogging trail. 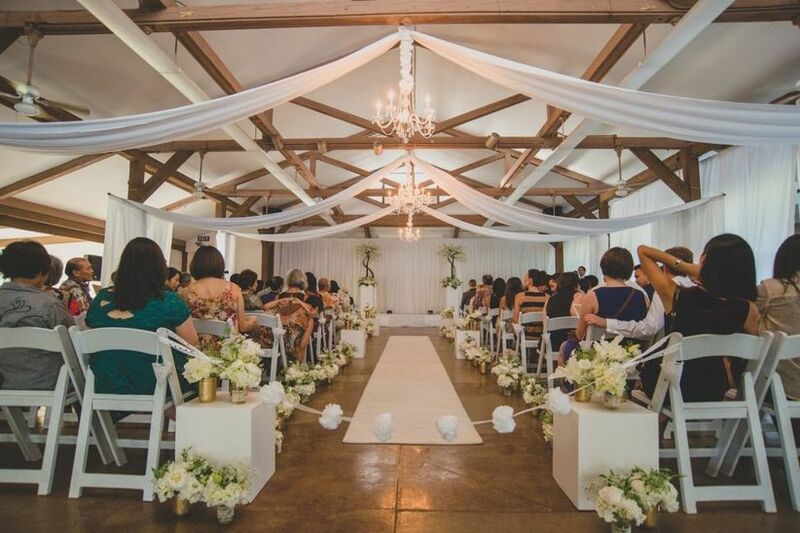 For your wedding day, Hale Koa can host up to 200 people and will provide basic event rentals such as altars, arches, lighting, tent, and a dance floor. You’ll nearly feel like you’re at the edge of the world at this Oahu wedding venue. He’eia State Park is located near Kaneohe on 18.5 acres of peninsula along Oahu’s windward shore. The park offers some of the most beautiful scenery on all of Oahu, including views of Kane’ohe Bay, which is home to the island’s only coral reef (expect to see plenty of sea life, including sea turtles!). The park’s spacious banquet hall can fit 300 people, and there’s also a newly renovated cottage on site where you can get ready for the big day. Wedding packages include tables, chairs, industrial-size fans, prep kitchen usage, and pre- and post-wedding clean-up. If you’re keeping your guest list small, you won’t want to miss a visit to Male’ana Gardens. The boutique venue, which has a maximum capacity of 20 guests, specializes in intimate weddings and bespoke celebrations. Male’ana Gardens is located in Kailua on the east coast of Oahu Oahu, close enough to make it easily accessible for traveling guests, yet farther away from larger towns like Honolulu and Waikiki. 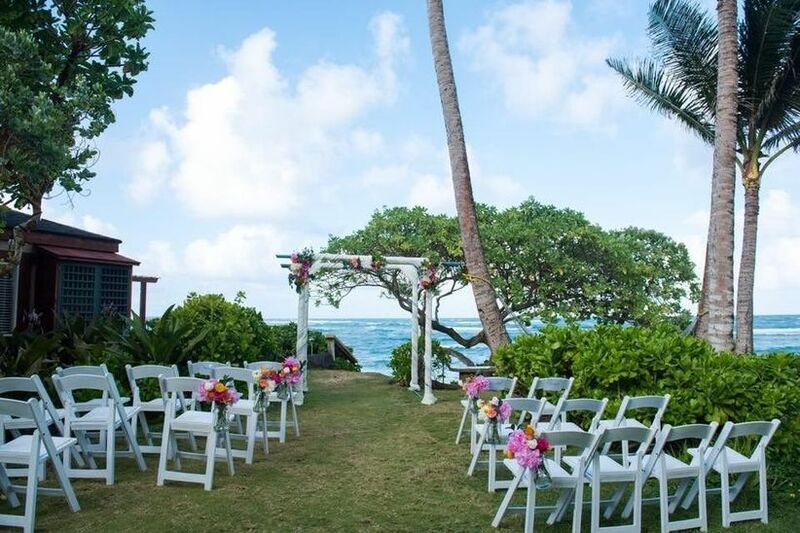 The venue’s ceremony garden is just steps from Kailua Beach, while the reception cabana overlooks pristine Kailua Bay. Native Hawaiian plants and fragrant flowers, like plumerias, can be found throughout Male’ana Gardens. Extend your stay by reserving the venue’s bungalow to kick off your honeymoon! Whether you’re dreaming of a tropical outdoor ceremony or a rustic-style reception in a barn, Sunset Ranch has options for both. 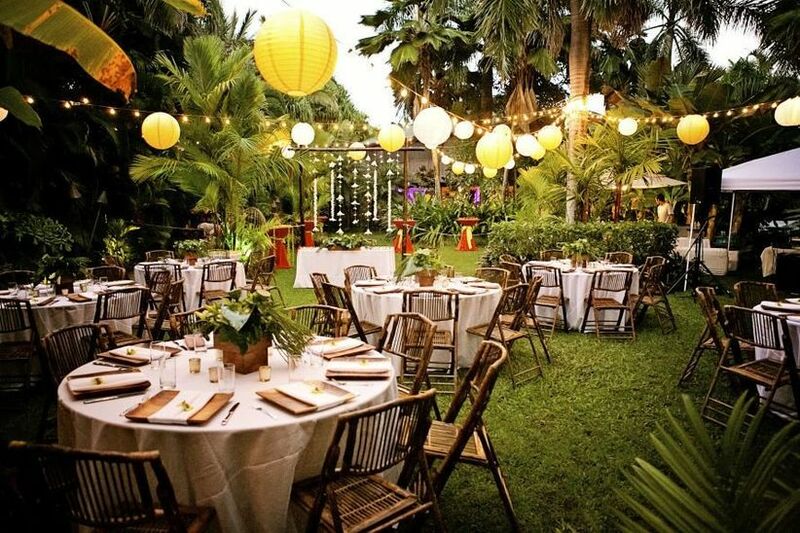 The venue, which is located in Haleiwa on Oahu’s North Shore, has four unique event spaces and 30 acres of stunning land (with eucalyptus, avocado, and citrus trees, no less!). Sunset Ranch also makes it a breeze to plan your wedding by offering all-inclusive packages including catering, event coordination, decor rentals, and on-site accommodations. 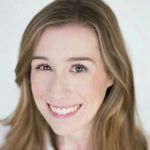 Love giving back to the community? This Oahu wedding venue is an ideal choice. In addition to using organic ingredients, sustainable farming practices, and supporting local vendors, Sunset Ranch also provides equine therapy programs for children. 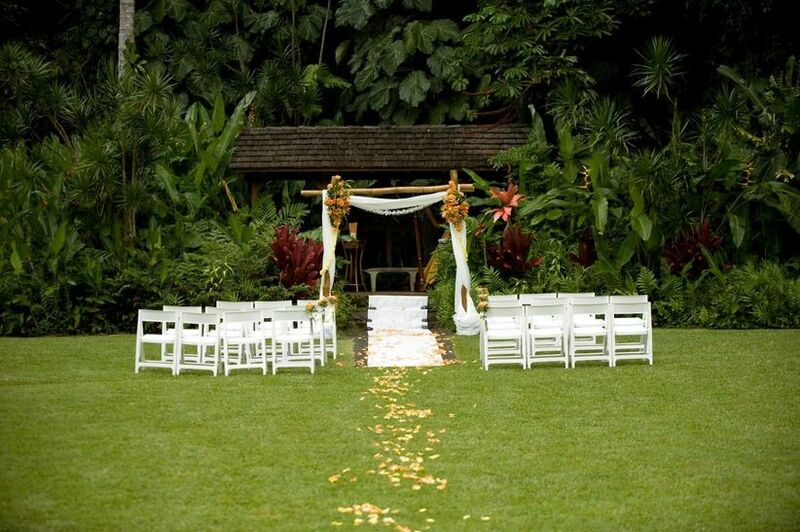 With a capacity of 500 people, Kualoa Ranch in Kaneohe is one of the largest Oahu wedding venues. 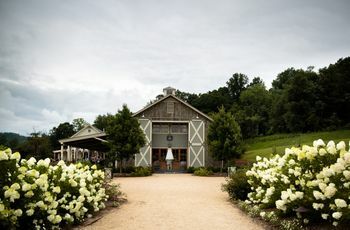 But you don’t need to have an extensive guest list to feel at home here — the venue has four different event spaces for a range of wedding styles and sizes. 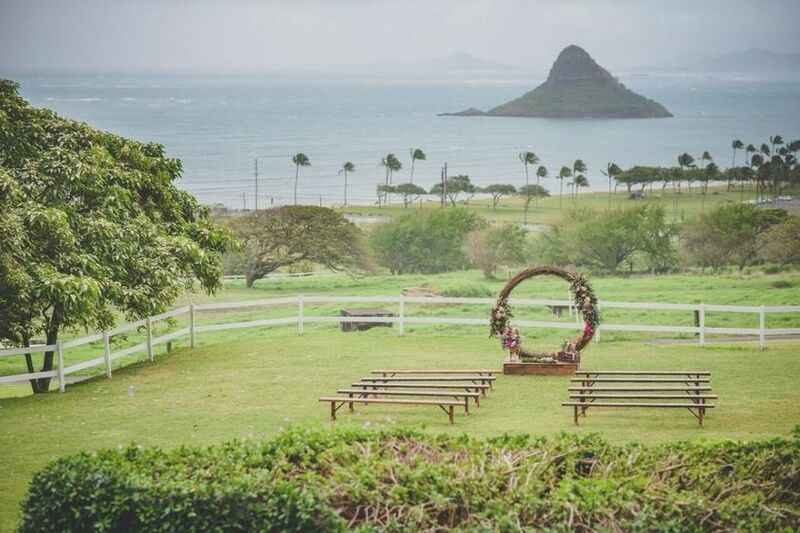 If you’ve been dreaming of a classic Hawaiian beach wedding, you’ll love the ranch’s private beach, which has a direct view of Mokoli'i Island and Kaneohe Bay. There’s also a ranch house, tropical garden, various pavilions, and a Hawaiian fishpond that all serve as potential backdrops for your big day. Catering, event coordination, and decor rentals can be supplied by the venue. If Kualoa Ranch looks familiar, it’s because you might recognize it from Jurassic Park, Godzilla, Lost, and other blockbusters that were filmed at the venue! For an even more laid-back vibe, head to the Tiki Moon Villas in Laie on Oahu’s north eastern shore. 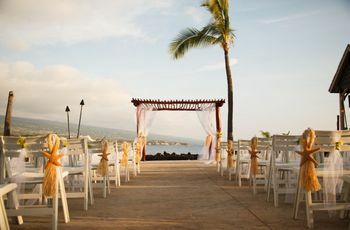 This small town offers quiet seclusion for your wedding day, without sacrificing Hawaii’s incredible beaches and scenery. The B&B-style venue is located right on the coast, providing a fabulous opportunity for an oceanfront wedding. 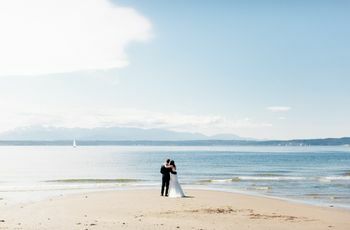 It’s especially great if you’re hosting a destination wedding, since overnight accommodations in the venue’s villas are included with your rental fee. 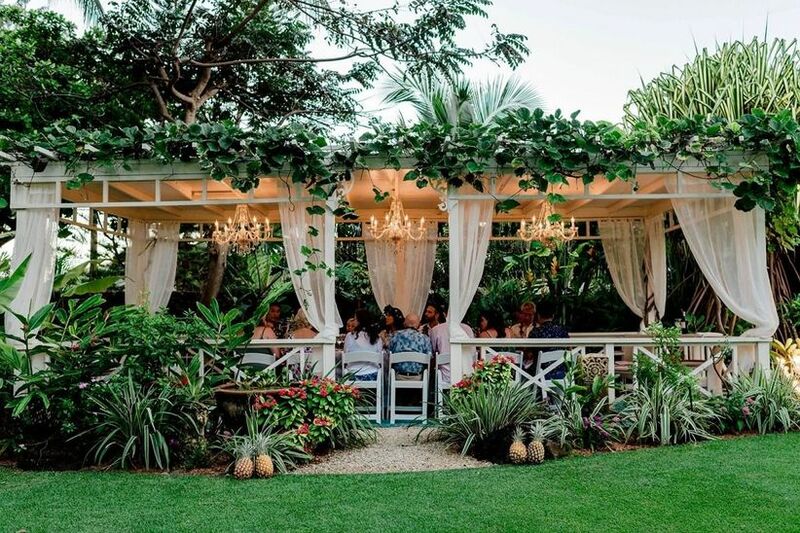 While many of our favorite Oahu wedding venues are located throughout the island’s countryside, you can also find great options without ever having to leave the city! The Ala Moana Hotel is one of the best Honolulu wedding venues for couples who want the best of both worlds. It’s centrally located to the downtown area while still offering plenty of scenery and amenities for your big day. This full-service resort is ideal for couples who want to put a more traditional spin on their Hawaiian wedding. The Ala Moana Hotel has various ballrooms, banquet spaces, a garden lanai, and even a nightclub venue that can be privately rented. 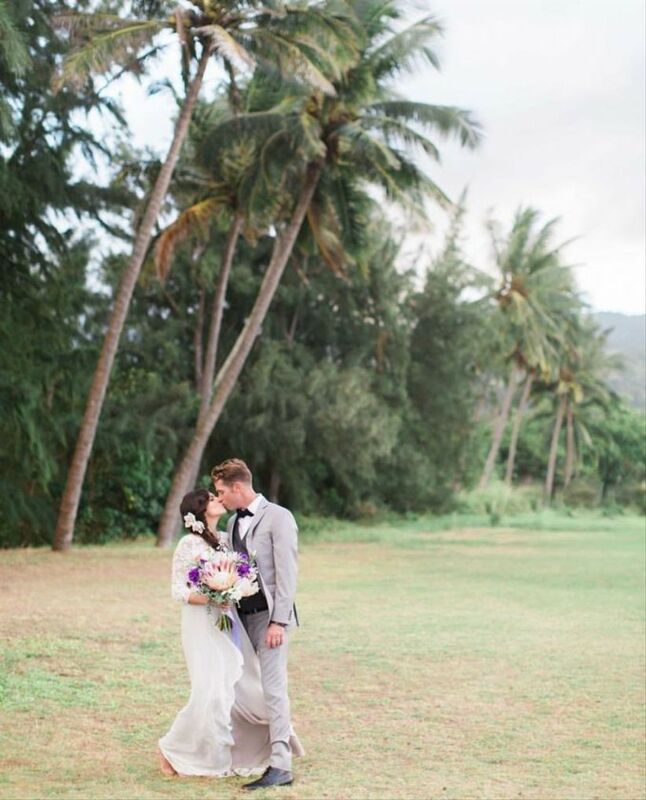 For a more formal Oahu wedding, check out the Hawaii Polo Club on the North Shore. The venue’s manicured polo lawn overlooks the Waianae Mountains and the Pacific Ocean, giving you the perks of a beach wedding, but with a classic spin. The lawn has plenty of room to accommodate a tent (included with your rental fee) for an outdoor reception, but if you prefer something indoors, the main clubhouse is also available. The Hawaii Polo club can host weddings for 200 people and will provide chairs, tables, and a dance floor.